We’d love your help. 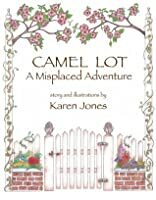 Let us know what’s wrong with this preview of Camel Lot by Karen Jones. 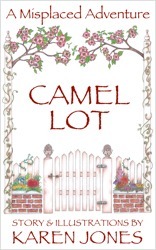 Camel Lot is a fantasy ad Three siblings, Arty, Lance, and Gwen, set off for their Mother’s forbidden flower garden to play. They dream up the grand kingdom of Camel Lot with a courageous king, a daring knight, and a princess with a pink magical unicorn. But somewhere else in the garden, trouble is brewing. It’s not their orange tabby, Marlin; it’s the neighbor-boy, Dwayne. To ask other readers questions about Camel Lot, please sign up. The children decided the garden would be a magical kingdom named "Camel Lot". Artie was the king, Lance was a knight and Gwen was the princess. The children soon When Artie, Lance and Gwen were instructed to go outside and play, they struggled to think of fun things to do. Five-year-old Gwen suggested that they play in their mother's garden. They were NEVER allowed to play in the garden without permission. They decided that the forbidden garden would be the perfect place to spend the afternoon. Great book for kids and also for beginners. A sweet story about children playing in a 'magical' garden. Fabulous illustrations and great writing combined with snappy one-liners make this children's book a fun read. I hope to see more from Ms. Jones.